We have another recruit into Team Mcclozzer. My uncle – Kev “under the table” McNicholas is giving up alcohol in January in support of Clatterbridge. 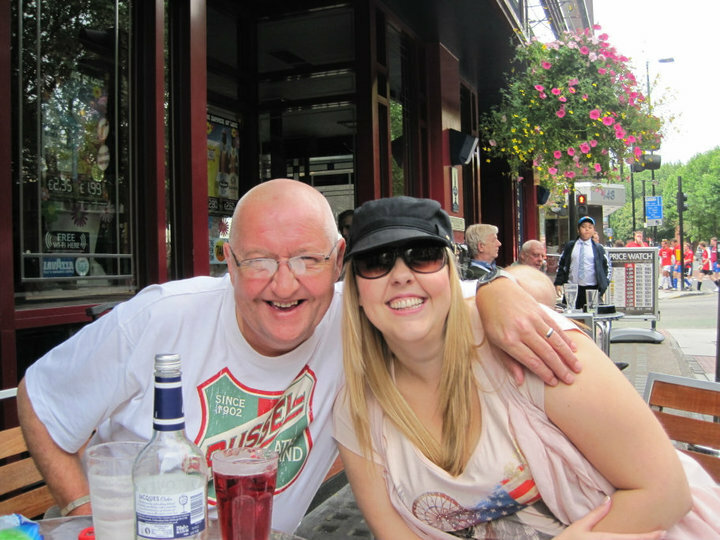 Here we are drinking in Wembley August 2010. This photo was taken approx 5 hours before he was…under the table! The team are doing fantastic and I am so proud that they are doing this for such a wonderful cause. My treatment is going well and I am glad that I am going here for it, the staff are amazing and I know that they appreciate every penny that is donated to the centre.